Emotional Intelligence. Have you heard of it? If you’re anything like me then, yes, you’ve heard of it…but, you probably didn’t know what it actually meant. So, to clear away some confusion, let’s start with a definition. Emotional Intelligence (EI or sometimes EQ) is defined by Mayer & Salovey (1997) as “the ability to perceive accurately, appraise, and express emotion; the ability to access and/or generate feelings when [facilitating] thought; the ability to understand emotion and emotional knowledge; and the ability to regulate emotions to promote emotional and intellectual growth” (p. 10). In other words, it’s the ability to know how to stop your emotions from taking over your actions. 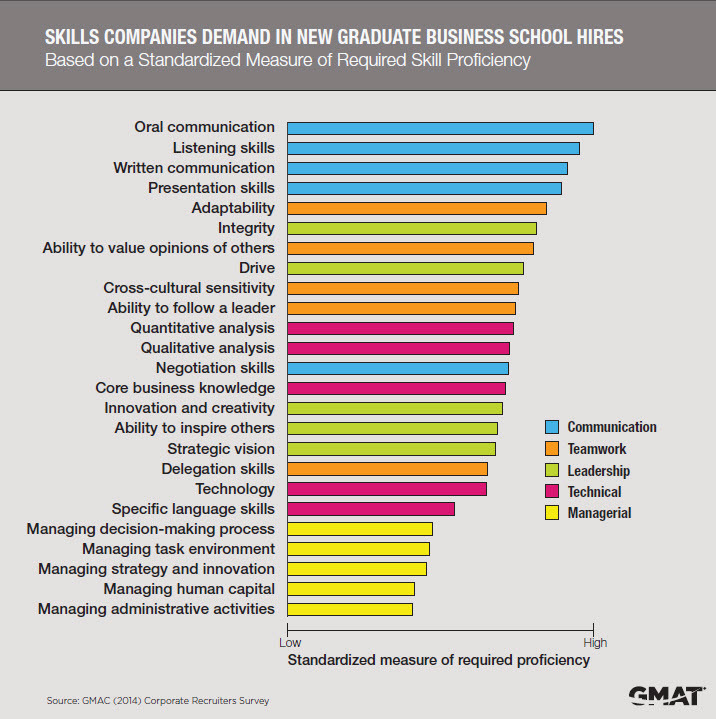 It is the “soft-skills” industry leaders are looking for in future employees. Self-Awareness – “the ability to perceive your own emotions in the moment and understand your tendencies across situations” (p. 24). Self-Management – “your ability to use your awareness of your emotions to stay flexible and direct your behavior positively” (p. 32). Social Awareness – “Your ability to accurately pick up on emotions in other people and understand what is really going on with them” (p. 38). Relationship Management – “Your ability to use your awareness of your own emotions and those of others to manage interactions successfully” (p. 44). Other sources use similar definitions and may group the factions of EI into more or fewer areas of concentration, but they all focus on the same concepts. For our visual learners out there, this video from MindTools may be helpful in understand EI. Additional reading from their site can be found here. Now that we’re all using the same definition, take a moment to reflect on your experiences with EI. Below are some questions to help guide your thinking. How were you taught to “deal” with your emotions? Was it through direct instruction? Perhaps it was picked up along the way through your experiences. Do you ever get frustrated with yourself because you didn’t “handle” a situation well? Maybe you should have waited before sending that last e-mail, or you wish you would have kept your mouth shut in that last meeting. Are you “the crier,” (I know I am!) or are you the one people tiptoe around due to your famous temper? Part of my summer reading has taken me on a journey through understanding EI. In fact, it has been more than summer reading. I’ve been taking a class on inter- and intra-personal skills as part of my Ph.D program through Kanas State University, and what I’ve discovered is that people overwhelmingly want EI to be taught in schools. This course is actually an elective for me, and many of my classmates are business men and women enrolled in K-State’s Leadership Dynamics program. So, I listen when these industry leaders question why EI isn’t taught in mainstream education. The best response that I can come up with is that we, “education,” treat soft-skills as a passively learned skill, not one that is taught directly. Furthermore, the little emotional intelligence that we do teach doesn’t go far beyond identifying and controlling our emotions in early childhood education. In today’s schools, educators and educational leaders talk endlessly about “grit” in meetings, e-mails, and in passing, but what direct training are we offering to our faculty and staff on actually teaching our students grit? Additionally, what resources are we providing to our teachers and administrators to improve their personal EI? Education is demanding on an individual, especially when we add the emotional rollercoaster of adolescents into the equation. Teachers are taught early in their education courses the importance of controlling personal emotions when working with students. However, that’s where most discussion ends: “control your emotions.” There is no formal training on developing emotional intelligence, there is no discussion on helping students develop emotional intelligence, and there certainly isn’t discussion on how understanding emotional intelligence will improve overall school morale. It is important to note here that I am a high school level teacher. Perhaps you were taught about emotional intelligence in your educational training program, or perhaps, there is more discussion in the elementary training programs versus secondary. I know that my 2 and 4 year-olds are taught to identify their emotions as part of their early childhood education (pre-school and pre-K), but I haven’t seen any similar emotional intelligence education in the upper grade levels. Bradberry, T., & Greaves, J. (2009). Emotional intelligence 2.0. Mayer, J.D, & Salovey, P. (1997) What is emotional intelligence? In P. Salovey & D. Sluyter (Eds.) Emotional development and emotional intelligence: Educational implications. (pp.3- 31) New York, NY: Basic Books.